The Centers for Disease Control and Prevention reminds seniors that heart disease remains the leading cause of death in the United States. Being 65 years of age or older doesn’t mean it’s too late to reduce the risk of developing cardiovascular disorders. Healthcare providers recommend several lifestyle alterations that help seniors maintain optimal health. The American Heart Association (AHA) reports that more than 65 percent of seniors are overweight or obese. Carrying excess weight puts undue stress on the cardiovascular system. Increasing physical activity is one of the first steps in getting control over a weight problem. The AHA suggests that seniors get 40 minutes of exercise at least three times each week. The type of activity or exercise should include aerobic workouts that increase heart rate. Strength training sessions are also needed to enhance bone and muscle health along with balance. Seniors with musculoskeletal conditions might consider walking, water aerobics, or bicycle riding. These low-impact activities enhance cardiovascular performance without stressing weight-bearing joints. Working out regularly is one of the many ways seniors can reduce the risk of heart disease. If you have a senior loved one who needs help maintaining a high quality of life while aging in place, reach out to Home Care Assistance, a leading provider of senior home care Montgomery families can rely on. All of our caregivers are bonded, licensed, and insured, there are no hidden fees, and we never ask our clients to sign long-term contracts. High blood levels of LDL cholesterol leads to impaired blood circulation due to plaque formation. By altering their diet to include lean meats, fruits, and vegetables, older adults lower their blood cholesterol and prevent elevation. Seniors should limit red meat intake while adding more poultry and fish options. 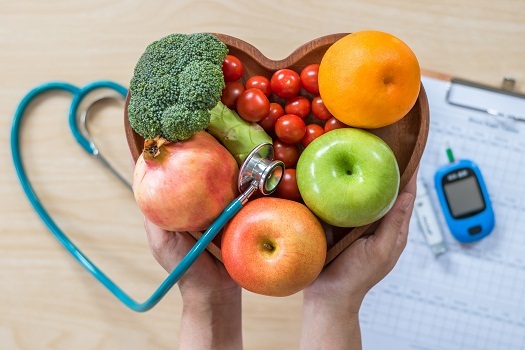 In addition to regulating cholesterol levels, fresh produce supplies the body with much-needed nutrients that provide energy and enhance the ability to carry out necessary repairs. Add olive oil, salmon, tuna, and other oily fish to your loved one’s meals each week so he or she gets sufficient amounts of omega-3 fatty acids, which elevate HDL, or good cholesterol. Reduce your loved one’s sugar intake, as sugar is known to encourage inflammation while adding unwanted body weight. Some seniors may require assistance adopting a healthy diet plan or preparing nutritious meals. Whether your elderly loved one needs part-time assistance with basic household chores or you need a break from your caregiving duties, the Montgomery respite care experts at Home Care Assistance are here to help. All of our respite care services are backed with a 100% satisfaction guarantee, there are no hidden fees in our contracts, and we never ask our clients to sign long-term contracts. The chemicals used to process tobacco combined with the compounds in tobacco products constrict blood vessels, which raises blood pressure and pulse while making the heart work harder. The tars and toxins that enter the lungs when smoking also interfere with the lungs’ ability to adequately oxygenate blood supplied to the heart and other organs. There are many options available for older adults who need to kick the smoking habit. Many quit cold turkey. However, others need one or more interventions. Quitting may be challenging, but the benefits to the cardiovascular system makes it worth the discomfort. A glass of red wine is known to benefit health due to the antioxidants and polyphenol compounds in the grapes used to make the beverage. Red wine lowers cholesterol while encouraging blood vessel relaxation. Grape skins also contain a chemical known as resveratrol, which keeps blood sugar low by stimulating insulin release. Another theory suggests that resveratrol stimulates the activity of a protein that enhances insulin sensitivity. However, consuming more than two or three glasses of wine or other alcoholic beverages per day has been shown to contribute to heart and blood vessel damage. A professional caregiver can help your loved one make healthy choices while aging in place. One of the most challenging tasks of helping an elderly relative age in place safely and comfortably is researching agencies that provide elderly care. Montgomery families can turn to Home Care Assistance for reliable, high-quality in-home care for aging adults. We offer 24-hour live-in care for seniors who require extensive assistance, and we also offer respite care for family caregivers who need a break from their caregiving duties. To create a customized in-home care plan for your loved one, call (334) 593-3988 today.